What is between the lines of a job description? That is a question that job seekers often ask themselves. A job description is the first impression for any attracted candidate in the world of online recruiting. 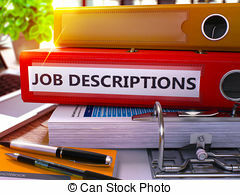 If the job description is monotonous and uninspiring, that may affect the type of candidate you’ll attract especially in regards to candidates currently employed who surveying the job market for potential upgrades from their current employment. These individuals, generally seen as more desirable, will discriminate much more than unemplolyed candidates when it comes to which career postings to respond to. Improving the quality of your response starts by having a well-written ad (often the first impression a candidate has of your organization) that is going to target your appropriate audience. You need to know your audience and your ad needs to speak to them directly in language they understand. A well thought out job description should have a carefully crafted message with the aim of attracting the best-qualified candidates to fulfill your job requirements. Clearly distinguish the ‘Must Haves’ from the ‘Nice to Haves’. Stick to what’s relevant by starting with an overview of the position and then add more details by including qualifications that are non-negotiable (certifications, degrees, years of experience, 2nd languages etc.) and then adding preferred attributes. Find a balance between too specific which may cause excellent candidates to not apply, if they feel they do not fil all of the specific criteria, and too general which will result in you being swamped by unqualified applications. Include the compensation or salary range. There are some circumstances where we do not include compensation, such as if the there is an extremely wide potential range of candidates from junior to senior or if there are confidentiality concerns, but usually stating the compensation results in a more efficient search. Promote your company, its history and future opportunities. It’s important to connect the role and generate excitement about the role and the company. The end goal is to sell the company and recruit an admirable team. Consider the effect of using visuals in your advertisement. Visuals are proven to have an engaging effect and help viewers to get right to the punch line without having to read lengthy text. In today’s electronic age, we have become a society of skimmers, perusers and browsers. Images offer a compelling alternative to those who may be likely to skim and/or close your job description all together due to too much information. Make sure to include a call to action: “Click here to apply”. Keep it simple, and user-friendly. A great applicant applying to a captivating announcement can be easily turned off by a cumbersome application process that requires much time to complete and a huge checklist of steps. Nothing is more of a hassle than to have to replicate the information that’s already been uploaded in the candidate’s resume. Following these steps will result in more effective job posting and the likelihood that you will hire someone who is a better fit for your team.